The Manufacture Jaeger-LeCoultre presents the sixth edition of its Yearbook, a volume that takes its inspiration from the new Maison in the Vallee de Joux to invite readers to discover new artistic and cultural. 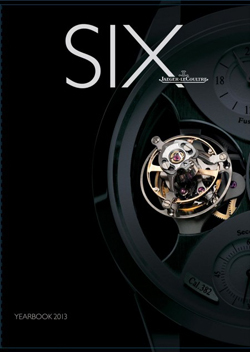 The series of books Yearbook, launched in 2007 by Jaeger-LeCoultre, see the 2013 edition dedicated to the rim. Despite the reality geometric describes the circle as “a flat, defined by a line called the circumference, and whose points are equidistant from the center,” as pointed out by Franco Cologni in his preface, the symbolic meaning of this figure and by far the most significant and profound. When cycles and circles overlap, thus becoming one, life, nature and time resulting in an alternation of the seasons and hours, while the globe does continuous revolutions around the sun. The same is not infinite and perhaps represented by a double circle? The circle and a dominant form in watchmaking: cases, bezels, dials, crowns and gears are usually round. Jaeger-LeCoultre has decided to dedicate 2013 and the new edition of the Yearbook exploration of the role of the circle in the art and, more generally, the universe around us. Yearbook 2013: an invitation to browse each page to discover the circle … in all its forms. The circle is initially presented as the protagonist of a portfolio dedicated to pocket watches of the past. Thanks to the elegant rounded shapes, keep them in the palm of the hand was extremely personable, just as it was to go beyond the soft lines to find the time. The curves of the timepieces blend circles created by magnetic phenomena, physical and electrical, immortalized by the photographer Berenice Abbott. The circle and also fun artistic expression of a world in which this geometry is reflected to perfection: the circus. Thousands of skilled artists from graceful gestures alternate tirelessly on the track during the hours of training, by turning his head the audience enraptured. The circle and the wheel that allows China to move and bikes to fill the lives of millions of Chinese in the city and in the countryside. Wang Wenlan gives us a great rundown difotografie black and white, made of day or night between light and shadow. The circle is on the eye of the photographer Joachim Bonnemaison. Women, men and passions are the protagonists of his shots, made using equipment created ad hoc. Beyond the boundaries of traditional photography, he opens a new window – round – on small fragments of life. The theme of the circle takes on a new meaning thanks to Jaeger-LeCoultre and photographs of exception. 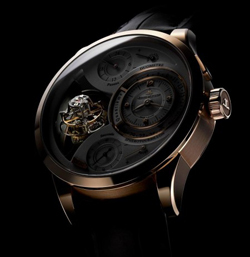 Thanks to a three-dimensional rotation, the tourbillon of DUOMETRE Spherotourbillon this extraordinary timepiece free from the negative effects of the force of gravity, ensuring maximum precision. The circle and an aesthetic choice that, in the thirties, dominated the art scene of Broadway and Hollywood through the magic of dance in a circle presented in movies, musicals, the theater shows and dance routines. The circle and also the long journey to Shanghai Film Festival and sponsored by Jaeger-LeCoultre. In the glow of the city and the night lights, the eye of telephoto gives us a rendezvous with a beautiful woman … and a new watch. The circle, then, and the form of everyday objects that allow the world to turn and mark every moment of our lives. Metaphors or jokes and humorous chemistry geometric dell’applaudita are featured in the final series of photographs by Chema Madoz.